South Yorkshire Police have called for all Sheffield derbies to take place on weekdays from now on. The force have told the English Football League that their current level of support is “achievable and sustainable” if matches are kept away from weekends. The next meeting between Sheffield Wednesday and Sheffield United at Hillsborough has been moved to Monday March 4 and will be shown live on Sky Sports. 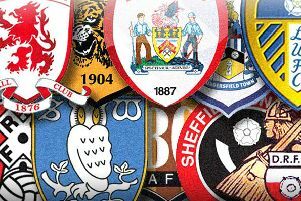 Deputy Chief Constable Mark Roberts said in a statement: “Football is a sport that unites so many of our communities and here in South Yorkshire, we have five teams in close proximity, each with their own incredibly passionate fan base. “Policing football matches presents its own unique challenge and now we have teams in the same league as one another, a Sheffield derby twice a season is something we must plan for. “We know that for the thousands of fans living in Sheffield and beyond who support United or Wednesday, the prospect of a derby is exciting and for this overwhelming majority, our policing operation is there to support your enjoyment of the match and to ensure you can do so safely, without risk of harm or injury. We know that for the thousands of fans living in Sheffield and beyond who support United or Wednesday, the prospect of a derby is exciting and for this overwhelming majority, our policing operation is there to support your enjoyment of the match and to ensure you can do so safely, without risk of harm or injury. “However, we must balance this type of operation and the resource it requires against our resilience to provide a service to the wider public of South Yorkshire, to ensure that everyone continues to receive the support and response they quite rightly expect from their local police. “To this end, I have outlined to the English Football League and clubs our plans to support our footballing communities, while maintaining our high levels of service for the public whom we serve. This support is achievable and sustainable if derby fixtures take place on weeknights.